Much of the effort in being a landlord comes at the beginning of a tenancy. 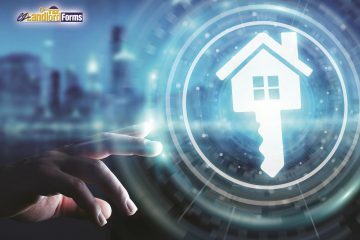 You may be wondering if there is any way to place a tenant yourself if you live in a different town or time zone than your rental. The answer is, through smart utilization of technology and some hard work, you can! 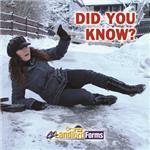 What happens if someone slips on a snowy or icy walk at your rental property, and then sues for injuries? It depends on who was found to be negligent. If terms in the lease agreement clearly state that the tenant is responsible for shoveling and salting during winter, then failure to do so would make the tenant negligent. But the landlord could have some liability, too. Texas – According to the Texas Apartment Association, a property owner isn’t liable to tenants or their guests if injury or damage to property occurs as a result of natural disasters. If the rental unit is livable but requires repairs, the landlord must complete repairs within a reasonable time. When damages are so severe that a rental is completely unlivable, a landlord may decide to end the lease agreement. Florida – State statutes are clear on what happens when repairs are needed following a natural disaster. 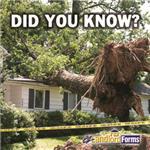 Either the landlord or the tenant can end the lease when a rental unit is destroyed. If only part of the unit is damaged, the landlord must reduce the rent during repairs, and must make sincere efforts to complete repairs in a reasonable time. How well do you know the intricacies of being a landlord? Test yourself with our poll! A really nice tenant applied for your rental, but you’re on the fence. You like this person; in fact, you and this applicant have mutual friends and they vouched for the applicant’s warmth, courtesy and friendliness. The personal references checked out, you confirmed employment, and you reviewed recent paystubs. But this applicant has had financial problems. Serious problems. 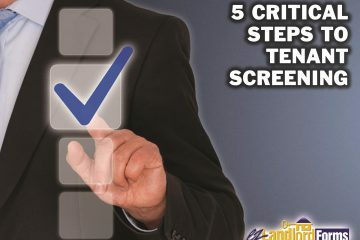 Bankruptcy, a low credit score and even a prior eviction came up on the background check you ordered. The applicant was completely straightforward about the past, telling you in advance about an unfortunate divorce, a lengthy illness, and other unexpected setbacks that would appear on the background check. Achieving success as a landlord does not happen overnight. It requires investing in the right properties and tenants, among other things, which can feel overwhelming at first. However, if you play your cards right, you will build a cash-flowing portfolio that makes you the most money with the least headaches. 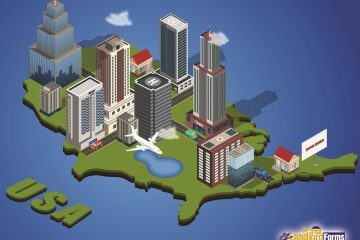 Once a geographic area is selected, you have to find the right building at the right price. This includes comparing building materials (brick or frame), condition, and mechanics (furnace, AC unit, etc.). Protecting your rental investment is so important. The best safeguard you can use is a lease agreement that covers every potential tenant issue. A comprehensive lease includes both required disclosures and clauses, as well as your own preferred rules. 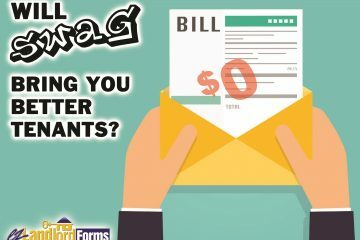 Will Swag Bring You Better Tenants? Competition for college-student tenants is so fierce in some communities that landlords and property managers have perfected the practice of offering “lease swag,” or perquisites for students who sign rental leases. From offers of a free month's rent, to gifts like flat-screen TVs, to free shuttle rides to campus, swag is limited only by a landlord's creativity. A landlord in one small Pennsylvania town that hosts a state university offers Beats wireless headphones – worth $500 – to all students who sign a lease agreement 18 months in advance of moving in. 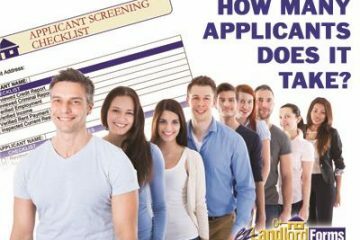 How Many Applicants Will Your Rental Get & How Do you Choose the Most Qualified? The perfect tenant rarely just appears on your doorstep the day you're ready to start leasing your rental property. Typically, it takes some work to find the right person, or people. 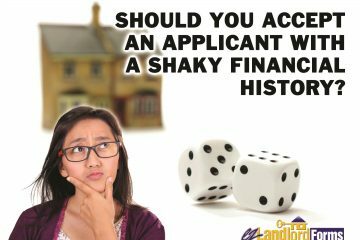 But, there are established steps that can smooth the process and remove some of the mystery involved in sussing out a good applicant. Applicants will find your rental through word of mouth, an open house, or an ad or online listing. Have a process ready for gathering their contact information. Dated sign-in sheets requesting a name, email address and phone number are perfect for an open house. It's also a good idea to start a file, and then make an entry with a date, name, email address and number each time a potential tenant calls.